To coincide with ‘The Great Exhibition of The North’, our Summer Exhibition this year, Northern Ground, demonstrates the wealth of artistic talent in our region, both past and present, bringing together new and upcoming artists with some Gallery favourites with an overarching landscape theme that presents the North from various perspectives. Jill Campbell’s painterly landscapes draw inspiration from daily walks in the ancient mining landscape around Cockfield Fell. She is drawn to the Fell's strange, other-worldly shapes, defined by the morning shadows and framed by wide, dramatic skies. Her glorious, abstracted works layer fields of bright and earthy tones to give a real sense of walking in the open fells. We also have work by another new graduate, Lizzie Munn, whose colourful, playful and abstracted paintings on aluminium panels are a beautiful sight to behold. Lizzie is studying on a scholarship at the British School at Rome during July 2018, immediately after graduating. Stephen Jeffrey has been a professional illustrator for over 30 years, with clients such as The Wall Street Journal and New Scientist, but his bold and vivid prints reference British post-War graphic design with a confidently unfussy style. His world of fighter planes, castles, ship builders and steam trains captures both the ancient and recent history of Newcastle, as well as it’s flourishing modernity. 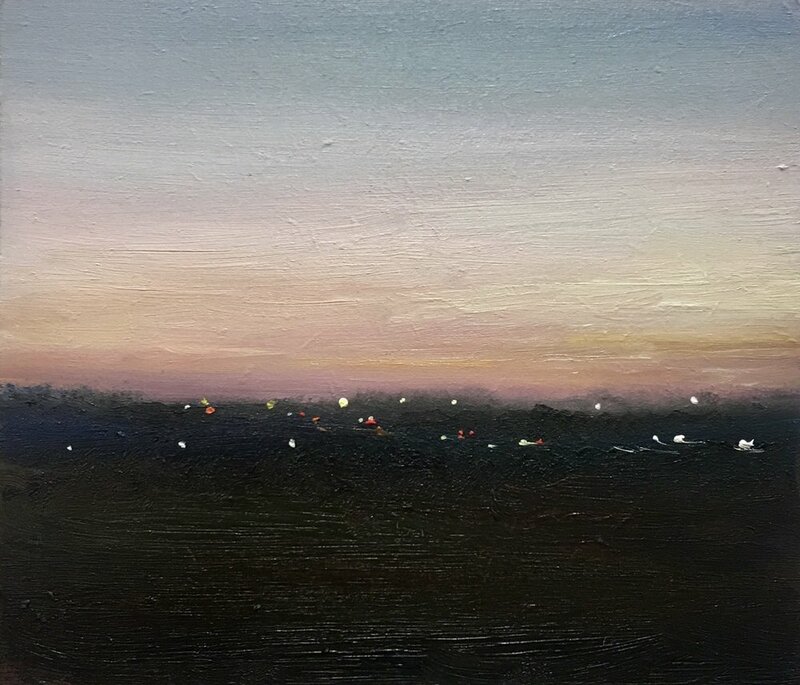 Other gallery favourites include RWS artist Peter Quinn and our own Paul Gallagher, both of whom have exhibited their well-renowned work here at Gallagher & Turner.